Transform Landscape Design & Construction Ltd - Garden Services, Landscaper , Tree Surgeon based in Liphook, Hampshire. 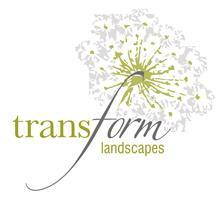 Transform Landscapes have been designing and building imaginative gardens since 1988. We combine the best of contemporary, traditional and classical ideas to achieve a garden that suits the individuality of each client. Transform are able to take on all aspects of garden and landscaping work, regardless of size, including garden maintenance, designs, tree work, planting plans and garden builds. We can build driveways and patios. We can trim oak trees and hedges. We can plant bulbs and sweeping structural plant designs. We can tidy beds and mow lawns. Let our friendly, knowledgeable teams do all the hard work, while you sit back and enjoy your beautiful garden.